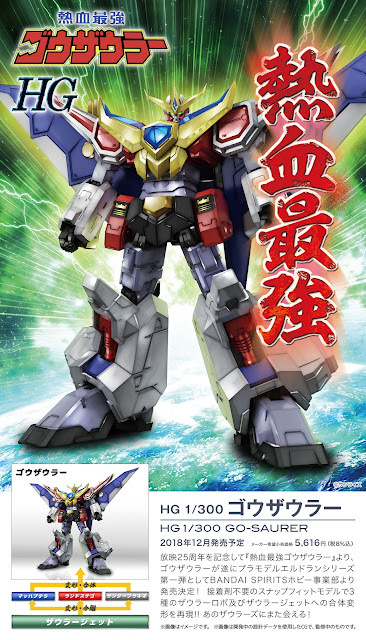 Its official: Bandai released the first official image of the upcoming Gosaurer model kit as part of the series' 25th anniversary and it will be released under the High Grade [HG] line banner. Here's what we know about the upcoming model kit. 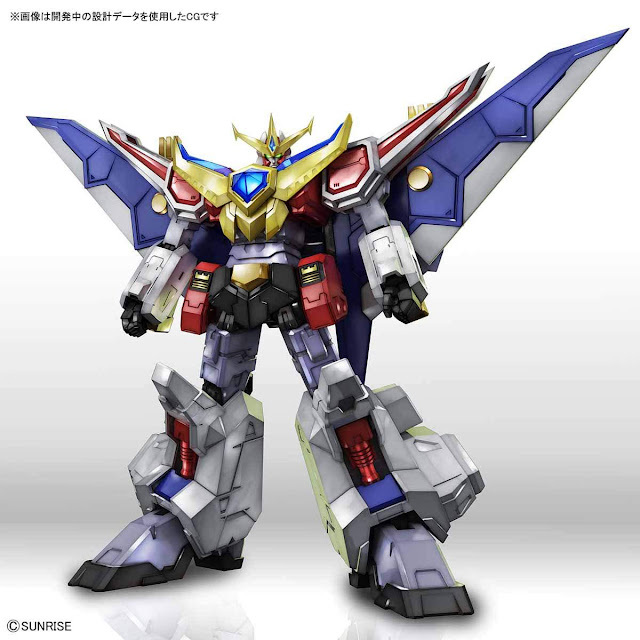 The model kit is scaled at 1/300 and its the first Super Robot that will be released in HG line. The kit will feature an anime accurate of Gosaurer, not only that, it can be separated to its 3 core components: Mach Ptera, Land Stego, and Thunder Brachio and its other configuration: the Saurer Jet. 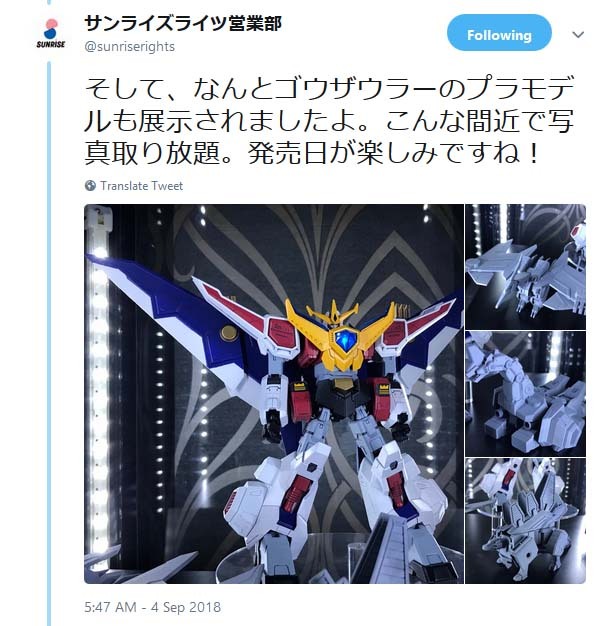 Sunrise official Twitter account has also posted images of the actual colored Gosaurer kit with its 3 components (in prototype form). Gosaurer comes with Saurer shield, its signature weapon: Saurer Blade, foil sticker sheet, and assembly manual. Slated for December release (just in time for Christmas), the HG 1/300 scale Gosaurer is priced at 5,616 Yen. 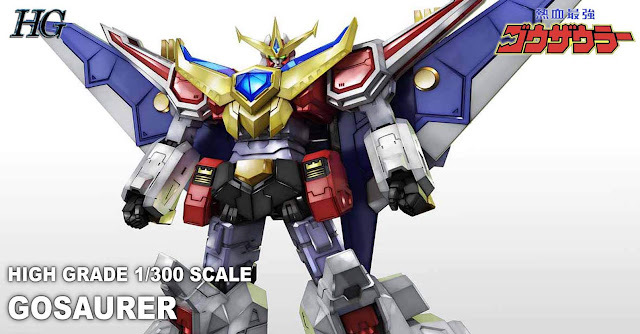 No Response to "Super Robot News: FIRST LOOK: First Official Image of High Grade 1/300 Scale Gosaurer Model Kit Revealed"